The right lawnmower can make your yard look immaculate, but unfortunately, if you have a large property, getting to that point can be incredibly time and labor intensive. Fortunately, riding mowers take the physicality and time demands out of large-scale mowing. Here are a few other reasons why riding mowers are worth the investment. How Can a Riding Mower Help You? Designed like a small vehicle, riding mowers have a seat for the operator and blades underneath the device to make it easy to cut large grassy areas. Since all the driver has to do is operate hand controls, mowing even incredibly large areas becomes fast and simple, making them mowers perfect for anyone with mobility difficulties or bigger lots. Since riding mowers are easier for owners to operate, they also help to improve the consistency and appearance of cut lawns. Instead of focusing on getting through the project, lawn care enthusiasts can focus more on the maneuvering the mower, moving according to previous cuts, and avoiding obstacles like sprinkler heads and hardscaping. What Other Features Do Riding Mowers Offer? Available in both manual and automatic transmissions, riding mowers also offer convenient features such as zero-radius turning, mulching and cut width settings, and bagging capabilities. 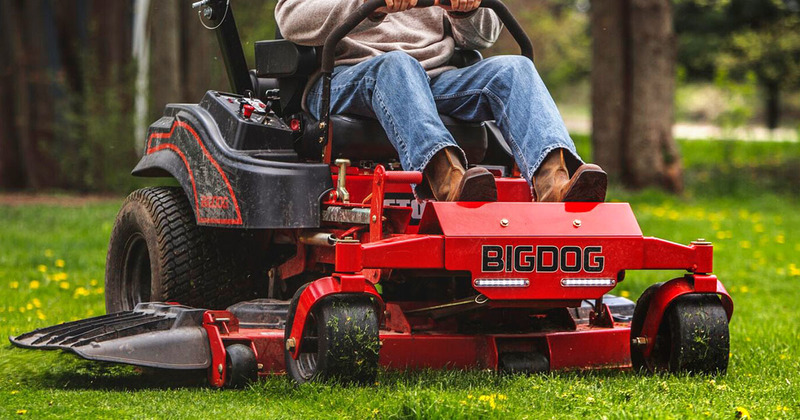 Riding mowers are also available with comfort features like shocks, durable suspension systems, padded seats, cup holders, and even extended leg room areas to make mowing more comfortable. Modern safety features include automatic parking brakes, blade-brake clutching systems, and reverse awareness systems to keep drivers from backing over landscaping elements, hills, pets, or people. Whether you are interested in brand new or pre-owned riding mowers, the team at Hartill’s Mountain Saw & Tractor has exactly what you need. In addition to offering a wide inventory of all of the best equipment brands, this trusted Chewelah, WA, company also offers parts, service, and special financing. To find out more about their business, visit their website or call (509) 935-8829. Snow Blowers vs. Snow Throwers: What’s the Difference?